Endling - an individual animal that is the last in its species or subspecies Byx is used to being the smallest and the youngest. But for all of her young life, she's also been part of something bigger - part of a family, part of a pack. Until the day Byx finds herself alone, the ... read full description below. Endling - an individual animal that is the last in its species or subspecies Byx is used to being the smallest and the youngest. But for all of her young life, she's also been part of something bigger - part of a family, part of a pack. Until the day Byx finds herself alone, the last of the dairnes: an endling. Byx is determined to see if the legends about other dairnes she's heard over the years are true. She sets off on a quest to find others of her kind, travelling through the war-torn kingdom of Nedarra. 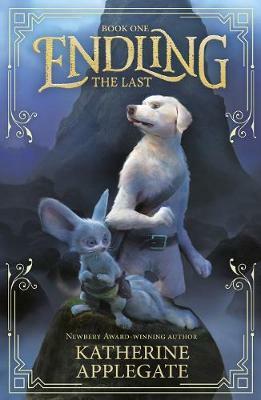 Along the way, she meets new allies who each have their own motivation for joining her:Tobble, the worthy wobbyk; Khara, the girl of many disguises; Renzo, the thief with honour; and Gambler, the principled felivet.Together they will uncover a secret that will threaten the existence of not just the dairnes, but every other creature in their world. . .
Katherine Applegate is the author of The One and Only Ivan, winner of the 2013 Newbery Medal. Her novel Crenshaw spent over twenty weeks on the New York Times children's bestseller list, and her first middle grade standalone novel, the award-winning Home of the Brave, continues to be included on state reading lists, summer reading lists, and class reading lists. She lives with her husband, the author Michael Grant, who she co-wrote the Animorphs series with, and their two children in Northern California.